With the days getting shorter and darkness settling in earlier, it maybe comes as no surprise that according to Money Supermarket*, the highest rates of insurance claims for burglaries occur between September and November. Burglary not only affects us financially but it can take an emotional toll and leave us feeling vulnerable in our own homes. We can never make our homes completely immune to this threat, but there are a few steps we can take to put off any would be burglars from targeting our home. Concealing valuables is key in preventing burglary. If electronics, money and jewellery are lying out in the open, especially in ground floor rooms, anyone passing by could see them and a burglar would know that breaking in would be worth their while. Similarly, leaving keys near the front door should be avoided as it has been known for thieves to use hooks through the letterbox to obtain them, giving them easy entry to your home or your car. A dark house is a big giveaway to a burglar that the house is empty. Now we aren’t saying you have to go to ‘Home Alone’ extremes and rig up some mannequins, but it might be worth investing in timers for your lights to come on when you are out. Similarly, security lights can be a great purchase and act as a deterrent to any prowlers. Darkness is their friend, so if the outside of your property is going to light up when they approach, then they might decide to move on elsewhere. If you know your neighbours and are familiar with their comings and goings, then it’s more likely that you would be able to identify suspicious activity when you see it. Also, if you have a good relationship, you can ask them to keep an eye out for any unusual goings on and contact you if something is amiss. 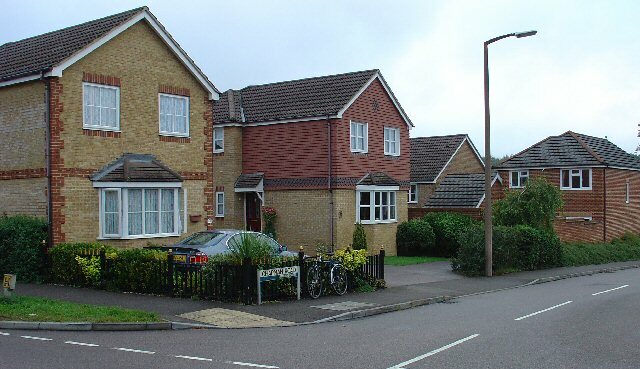 Neighbourhood watch schemes are also a great way of building a sense of community and increasing vigilance and the signs alone can be enough to deter burglaries or anti-social behaviour. We are all pretty savvy now when it comes to locking our doors but can we say the same about our windows? Often burglars are opportunists, and if they see an open window or test a door and it opens, they can enter your home in seconds and make off with your valuables without breaking a sweat. Lock all doors and windows, especially those on the ground floor of the property and double lock your patio door. If you have a fence or hedges, make sure they are in good order and that any gates are closed with a padlock in place. A padlock is not going to keep out a determined burglar, but it will make their job harder and sometimes that can be enough to make them move on. It’s also vital that if you keep your tools or ladders outside that they are stored out of sight, preferably in a locked shed so the burglar can’t use them to gain entry. We’ve probably all been guilty of hearing the neighbours alarm and rolling our eyes without actually looking to see that everything was okay. That doesn’t mean that an alarm isn’t still an excellent deterrent to keep burglars away. If you put yourself in the mind of a thief presented with two identical properties, one alarmed and one not, which one would you break into? As with anything, it won’t guarantee that your home won’t get burgled, but it could dramatically reduce the chances of it happening to your home and as an added bonus, having an alarm fitted might also reduce your home insurance premium. Sometimes, despite your best efforts, you can just be unlucky and find yourself the victim of burglary. It is a deeply upsetting and traumatic experience and it can take a long time for the emotional wounds to heal. Whilst contents insurance won’t prevent burglary, it can protect you from financial hardship and make it possible for you to move on and replace what you have lost. Unlike buildings insurance, which is only really for home owners, contents insurance is for owners and renters alike. Take a walk around your home and tot up the value of the contents and you might be surprised at the value of items you could lose in a burglary. Make sure you protect your pocket and call your insurer to get the appropriate level of cover.